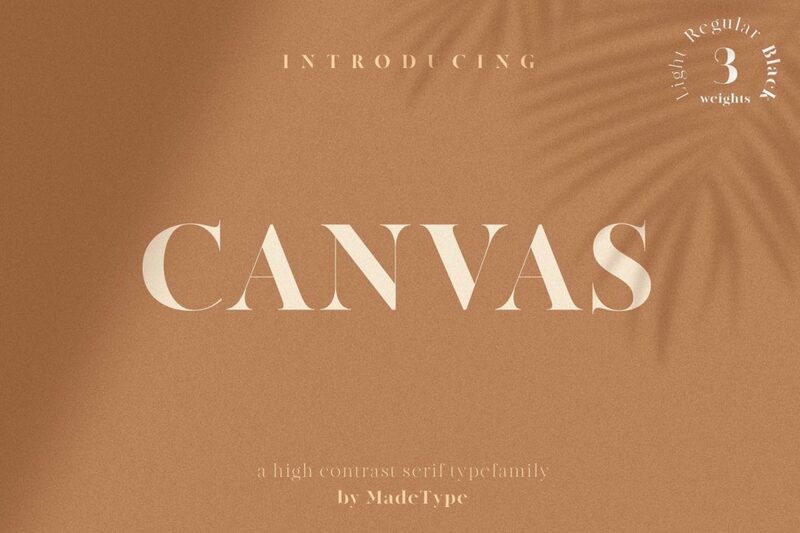 Download Made Canvas Serif Font For Free. Let’s take a moment to appreciate how stunning this font it! We think it’s so beautiful that it whatever background or graphics you combine with it won’t matter because this beauty shines on its own. Made Canvas is a modern serif type family with gorgeous thin hairlines and you’ll want to use it for all your projects. It includes 3 weights: light, regular, and black. This canvas font will add elegance and femininity to whatever medium. It’s perfect for fashion magazine titles, branding, packaging and label design (especially high-end couture, cosmetics, perfumes), wedding invitations, branding, poster design, and the list goes on.